To celebrate the release of black comedy Mug, we've got three copies on DVD to be won. Mug focuses on a man's change of identity. This year a film about changing gender was released. What was it called? 2. The prize is a copy of Mug on DVD. We have three copies in total to give away. 5. Closing date for entries is midnight on 22/04/2019. 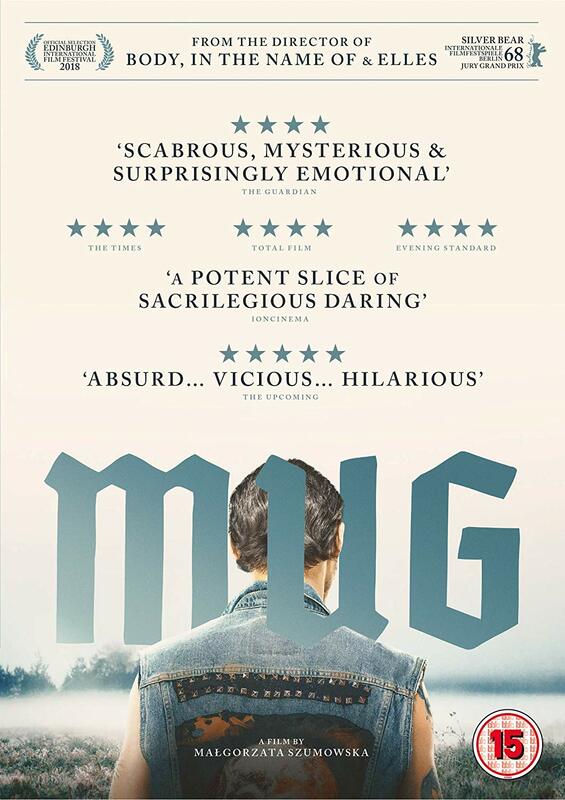 Award-winning director Małgorzata Szumowska (Body, Elles, In the Name Of) received the Silver Bear Jury Grand Prix at the 68th Berlin International Film Festival for her film MUG, a beautiful and unusual blackly comic Polish drama now available on DVD. Funny, emotional, bitingly satirical and bursting with a natural energy, MUG stars Berlinale Shooting Star Mateusz Kościukiewicz, Into Deep Water’s Agnieszka Podsiadlik and Małgorzata Gorol (I, Olga).